Since 2015 we have organized Girls’ Day events at our office and factory in Karlsruhe. Girls’ Day is the largest career orientation program for female students worldwide. In 2016 around 100,000 girls explored range of offers in the field of technology and natural sciences. In 2016 we invited four girls, ages 11 – 14, to discover their talent for technical careers and to inspire them for traditionally male-dominated professions like mathematics, computer science, natural sciences and technology. The girls got to look behind the scenes and see how our monitors are developed and produced. They had the opportunity to work with and get to know the profession as a software developer, IT systems electronic engineer, specialist in systems integration, mechatronic engineer or information scientist. 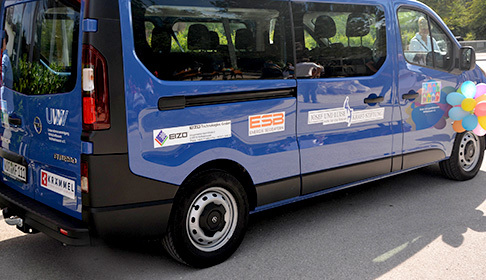 EIZO Technologies GmbH, located in Wolfratshausen, participated in financing a new minibus for Mobile Youth Work Wolfratshausen. This association offers young people support such as lunchtime supervision and day care. The minibus is used to pick up children from school and to bring lunch to day care facilities. The bus is also used for different leisure activities for young people and can be borrowed by other associations in Wolfratshausen. We make annual donations to two sports organizations – the Special Olympics and PluSport. The Special Olympics is the world’s largest sports organization for children and adults with intellectual disabilities and PluSport is an umbrella organization in Switzerland of disabled sports. We also donate to Stiftung Bühl (The Bühl Foundation) which helps children and teens with intellectual disabilities live a self-determined life and integrate into the workplace. 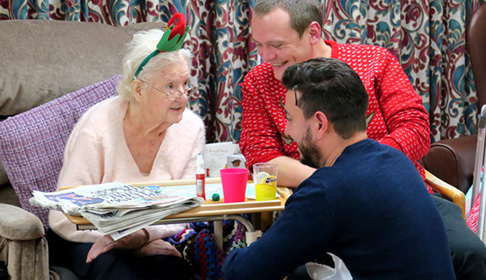 In 2015 we held a Christmas bingo event in the town of Bracknell where our UK headquarters is located at a home for persons over 65 years age who require nursing or personal care. During the event many Christmas prizes were given out before we enjoyed tea and Christmas cake. Members of our staff sat with the residents and talked to them while playing the game. We sponsored and volunteered at a Teddy Bear Picnic Event for local pre-school children organized by the local charity Home Start which supports and engages with over 70 families per year in the Bracknell forest area. Our US headquarters, located in Cypress, California, donates to the Cypress Boys & Girls Club’s annual Keeping Kids on Track fundraiser. 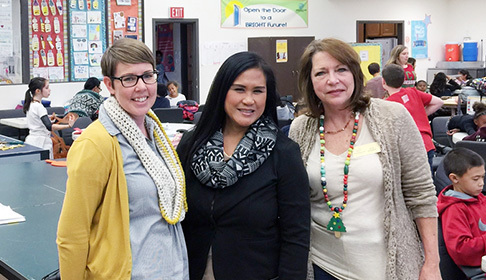 This fundraiser provides mentoring, educational enrichment, and a wide variety of activities that develop academic success, good character and citizenship, and healthy lifestyles to more than 1,000 children. 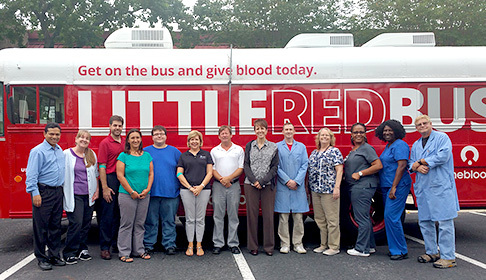 Since January 2016, employees of EIZO Rugged Solutions donate blood to OneBlood, a not-for-profit community that provides save and affordable blood to more than 200 hospital partners in the southeastern United States. As part of our community outreach, OneBlood sends a Little Red Bus to our office in Altamonte Springs, Florida. On October 27, 2016 members of EIZO Rugged Solutions participated in the STEM night at a local school. STEM stands for Science, Technology and Math. This is part of our community outreach, where we had a booth with several electronics experiments. They were meant to bring out interest and excitement among the middle school students at that school. In our home prefecture of Ishikawa we participate in and support several events and organizations. 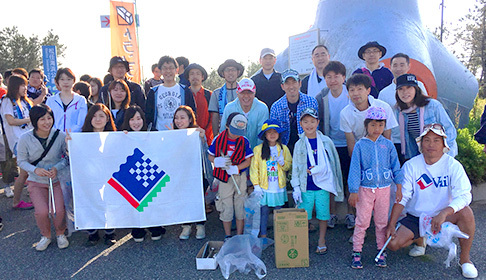 Volunteer at Clean Beach Ishikawa to keep our coastline tidy. Cooperate with a local organization that mentors managers and managerial candidates responsible for the future of the local economy by offering advice and lectures. Sponsor the local orchestra – Orchestra Ensemble Kanazawa. Sponsor the La Folle Journée de Kanazawa Music Festival and serve on the planning committee. Sponsor two local professional sports teams – Zweigen Kanazawa of the J2 League and Ishikawa Million Stars of the Baseball Challenge League.